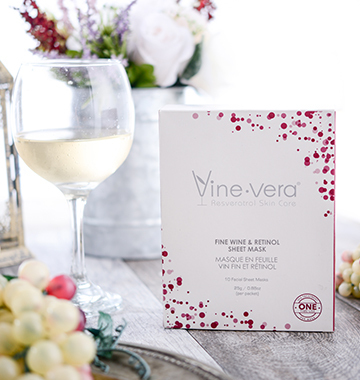 Vine Vera: The Secret to Youth [Resveratrol] - Vine Vera U.K. Lately mentions of Resveratrol have been everywhere, in news stories and splashed across webpages. 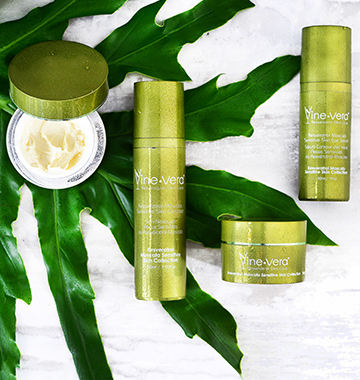 This compound is the main ingredient in every product of our luxury skin care brand, VineVera. 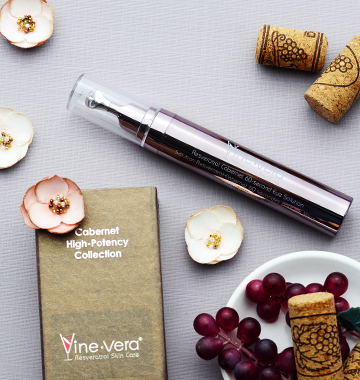 The innumerable studies showing the health benefits of Resveratrol, especially those associated with its anti-aging effects, inspired the creation of VineVera. When you know that the ingredients you are putting on the largest organ of your body, your skin, are the best you will be confident that your skin will be taken care of. So what is this seemingly magical compound? Resveratrol is a chemical that various plants produce to fight off attackers, or to withstand lack of water or nutrients. It has been found in various foods, including fruits and nuts, as well as in the roots of Japanese knotweed. Though some believe Resveratrol was first extracted from Japanese knotweed, in fact it was initially isolated in 1940 from the roots of a flowering plant called a hellebore by a Japanese scientist. Contemporary experts began researching Resveratrol’s possible medical value in the 1970s. Additional investigation uncovered that plants seem to produce resveratrol in response to stress from injuries or diseases as a protective mechanism. In the early nineties it was proposed that resveratrol’s might be responsible for the cardiovascular benefits of red wine. Since then, hundreds of reports have indicated that resveratrol’s benefits in protecting against diseases and extending life span. Lately Resveratrol popularity is linked to being an ingredient in Vitis vinifera L., or the common grapevine. The greatest concentration of grapevine resveratrol is found in the grape skin, giving red wines a concentration ranging anywhere from 0.2 mg/l to 7.0 mg/l, depending upon the wine. Health benefits of Resveratrol have been established by numerous studies. Resveratrol is a potent antioxidant over three times more effective than vitamin C and over four and a half times more than vitamins. Resveratrol effectively neutralizes oxidants harmful to health and has been shown to prolong the life of cells by up to 70%. Resveratrol increased the activity of a family of enzymes that appear to control aging to treat diseases of aging which can extend the human lifespan. The resveratrol concentrations required to increase the activity of these were higher concentrations than what can be consumed through drinking red wine. Recent research into aging found that small doses of digestable resveratrol altered gene expression in the skeleton, brain, and heart, and also blunted the age-related decline in heart function similar to the life lengthening effects of caloric restriction. Though the benefits of Resveratrol have been discovered, scientist have just recently begun to understand how Resveratrol operates. They believe Resveratrol assists in boosting the activity of mitochondria, which produces energy within cells, potentially extending their lives. Current studies confirm theories that stimulating proteins known as sirtuins, can increase cell life in the body. Sirtuins, also known as SRT1, are ancient proteins found in virtually all species which can control cell longevity. Triggering sirtuins causes an organism’s defense systems to fight disease and prolong life. Scientists had already known that resveratrol, seemed to trigger these proteins. But they were not aware of the exact mechanism by which it did so or how to include the ingredient into solutions for aging. A scientific group led by Dr. David Sinclair of Harvard Medical School, discovered the molecular mechanism for this synergy. These findings are published in Science, the largest paid circulation of any peer-reviewed general-science journal. They have led to observations that Resveratrol stimulates SRT1 directly. Though experts are not sure precisely why, they believe Resveratrol aids in preventing impairment to blood vessels, averts blood clots and lowers LDL cholesterol (the “bad” kind). A number of reports demonstrate Resveratrol’s association with lowered risk of inflammation, which combined with lowered risk of blood clots appears to be what makes Resveratrol so heart healthy. Supplemental scientific studies are being conducted to explore these connections. Some studies have even shown that the antioxidant and anti-inflammatory attributes give it the ability to help with erectile dysfunction and male infertility. Resveratrol’s ability to lessen the harm caused by toxins is one of the ways it can help with such issues. Raising the quantity of nitric oxide in the body is another way Resveratrol works with erectile dysfunction medication. Sufficient nitric oxide levels in the body ensures proper dilation and blood flow through blood vessel walls. All the health benefits of Resveratrol add up to what is considered the best new tool in our anti-aging arsenal. 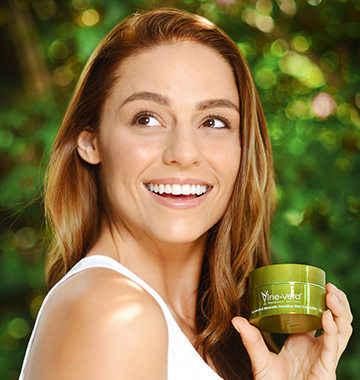 Increasing the life of cells on your skin will not only make you feel healthy but look youthful and vibrant as well. All this information may lead to the question of whether Resveratrol really is the secret to youth. There have been a lot of scientific studies supporting Resveratrol promoting longevity. Some even compare Resveratrol to the fountain of youth. Dr. Oz explains that Resveratrol works as effectively as caloric restrictions, which can extend life by up to 30 years. The only way real way to find out is to try it for yourself. Resveratrol might be highly effective as an antioxidant, but what makes it truly unique? According to studies, the main reason why Resveratrol is considered to be unique among antioxidants is its ability to easily cross the blood-brain barrier and help to protect the nervous system and the human brain. Furthermore, it also helps in protecting your cells from radical damage, lowers blood pressure, keeps the heart healthy, prevents Alzheimer’s disease and inhibits the spread of cancer. Furthermore, other studies have shown that Resveratrol produces similar benefits as exercise and can be best used in addition to an ideal exercise routine. Increase your mental sharpness – Resveratrol helps to increase the blood flow in the brain. According to a recent study in the UK, there was an increase in the neurological blood flow after the subjects consumed Resveratrol. It has also been discovered by another group of researchers that test mice receiving Resveratrol have managed to enhance their mental performance. Prevent Cardiovascular problems – According to the CDC, heart disease is considered to be the main cause of death in the US. There was a study in Canada that proved that drinking one glass of red wine per day can actually reduce the risk of heart diseases and strokes. This was directly attributed to the Resveratrol present in the red wine. This argument was further proved by a group of Connecticut based researchers who proved that Resveratrol can actually prevent cardiac issues. Improve your eyesight – A group of researchers in Missouri discovered that Resveratrol can help a person to improve their eyesight because of its ability to regulate angiogenesis. This helps to prevent unusual growth of the blood vessels that damage eyesight. Increase your endurance levels – Another study in Canada showed that Resveratrol can help to build skeletal muscles in the same way as endurance training does. The study was conducted on rats and it proved that Resveratrol helped in increasing the cardiac function, endurance level and oxidative metabolisms. Slow Down Cancer – A study in France showed that Resveratrol can effectively slow down and hamper the growth of cancer cells in the human body. This allows Resveratrol to be used as an extremely effective anti-cancer agent as well. The amount of Resveratrol found in a glass (or several) of red wine does not equal to the amount of Resveratrol tested in most studies. Due to this fact researchers are currently unsure about Resveratrol’s ability to affect anything when consumer through wine. In fact, the present day sales of Resveratrol tend to concentrate on supplements or cosmetic products. Also, the bioavailability of the compound when taken orally seems to be too low for the body to get the concentrations needed to bring about the effects seen in in-vitro cell cultures. However, research is currently ongoing to create semi-synthetic derivatives of Resveratrol that can be much more useful and offer the human body with much more than cosmetic benefits. More research into the benefits of Resveratrol should see improved versions of the compound that can offer people more targeted results when consuming Resveratrol. Since it was discovered that red wine contains the supposedly miraculous anti-aging substance Resveratrol scientific research investigating this ingredient have multiplied a great deal. Several of the latest scientific experiments examining the effects of drinking wine have shown that consuming Resveratrol as part of a regular diet (coming from wine or produce) does not provide any noticeable health benefits. The reasons cited for this are that consuming Resveratrol as part of your diet does not provide high enough levels of the compound to affect health. The good news is that many companies now offer Resveratrol in supplement form which provides higher concentrations of the ingredient to help boost effectiveness. A study conducted in the Netherlands, published in the Cell Metabolism journal found that Resveratrol supplements assist in decreasing blood pressure as well as improving a variety of other health issues in obese men. The study, which was published this week, concluded that for obese men taking Resveratrol supplements has similar health benefits to dieting and exercising. This clinical trial included 11 obese men who took 150 milligrams of Resveratrol every day for 30 days. At the end of the trial researchers examined several indicators including the resting and sleeping metabolic body rates of the subjects and found that their bodies were using and storing calories at much more effective rates. This is just one of more than 2 dozen clinical trials currently investigating the effects of Resveratrol. More studies should be forthcoming and researchers are looking forward to more positive results about Resveratrol. Resveratrol is a natural antioxidant that can be found in certain kind of plants including grapes. This extremely potent phenol, which was discovered during studies into the benefits of red wine, has been praised for its anti-aging benefits all over the world. 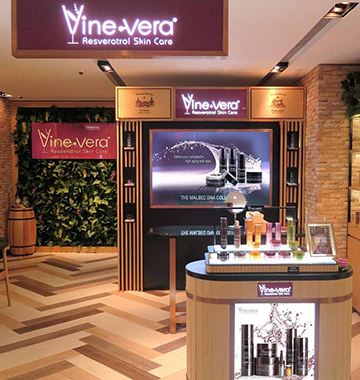 In light of the widespread acclaims, anti-aging benefits and skin care benefits that Resveratrol offers, new claims that purport wine’s health benefits have consistently come up. As a result, countless spas across the world have begun to fill their baths with red wine (considered to be the best source of Resveratrol) and medicines that claim to smooth fine lines and wrinkles have sprung up. 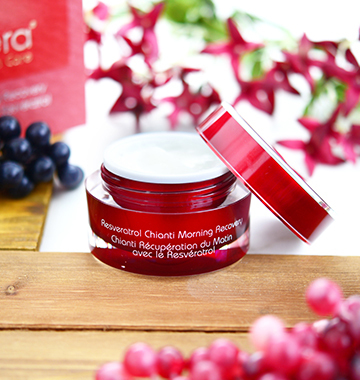 Resveratrol is known to work more effectively by way of topical applications, i.e., by soaking into the body through the skin. In fact, a number of studies conducted by researchers have shown that drinking (or bathing in) red wine does not provide the body with high enough concentrations of Resveratrol that can bring about health benefits. Further studies concentrating around the compound have proved that you need to drink about three bottles of red wine per day to get the desired benefits of Resveratrol, something that would end up being more harmful than beneficial for your body. Resveratrol supplements and capsules that are currently on the market cannot be properly absorbed by the body either. Many more clinical trials studying Resveratrol are currently under way, but it has essentially been proven that the compound can offer excellent skin care solutions, provided it is applied topically to the skin. According to a study published in the Clinical, Cosmetic and Investigational Dermatology, people who topically applied Resveratrol have managed to make their skin more moist, more elastic and less rough in about half the time that was required by people who took the compound orally. However, researchers still emphasize on the need for proper application and the regularity of treatments. Applying the compound once in a blue moon isn’t going to help. The ideal way to go about it is to apply Resveratrol topically at least once every week. Resveratrol, one of the most popular topics in human and animal studies, is a phytoalexin that is naturally produced by plants when they are attacked by pathogens like fungi or bacteria. There are signs that this compound may have far reaching effects on the health of humans and animals as it helps them with skin care and also offers certain anti-aging benefits. However, a major uproar was caused in the scientific field when debates sprung up on the best way to use the compound. After years of research and studies, it seems that oral consumption of Resveratrol by way of capsules or red wine is not very effective. On the other hand, topical applications of the compound have proved to be highly effective, at least in terms of skin care and sun protection. What types of health benefits Resveratrol offers is another topic that has been debated upon for years because of the lack of concrete evidence. However, there now exists sufficient evidence to prove that Resveratrol is one of the best forms of natural sunscreens available. A study that was published by the National Institute of Health, clearly stated that when Resveratrol was topically applied to lab animals that were subjected to high levels of UV radiation, it helped them to protect themselves from the harmful effects of the UV rays that they were subjected to. Most medical researchers have also agreed to the fact that topically applied Resveratrol can prove to be an extremely potent weapon against skin cancer, primarily because of the reason that it can block out the harmful UV rays of the sun. 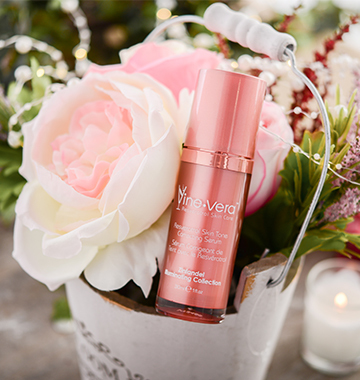 Since UV rays are known to be one of the most harmful stressors to skin in terms of aging and skin cancer, this makes Resveratrol an excellent option to care for skin. The latest study on Resveratrol examines its effects on the memory. 46 participants took part in this experiment which was published in the Journal of Neuroscience this month. Dr. Veronica Witte, PhD at the Max Planck Institute for Human Cognitive and Brain Sciences, Universitatsmedizin Berlin lead a team of researchers in studying if Resveratrol can enhance memory in older people. The team also attempted to examine the function of Resveratrol and how it interacts with the body and brain. At the beginning and end of the study all the subjects underwent testing which included carrying out memory tasks and they were also subjected to neuroimaging as well as other tests. The main memory test carried out required the participants to remember words on a list. Researchers tallied the amount of words that the subjects were able to remember in a 30 minute period and compared the results of those who took Resveratrol with those who took a placebo. At the conclusion of the trail scientist noted a rise in the metabolism as well as memory retention of participants who had taken the Resveratrol supplements. Taking into account evidence that supports that dietary restriction improves brain functioning in older and overweight adults, the team concluded that Resveratrol supplements improve memory performance. They believe their findings offer a basis for futures studies and research into methods which can help preserve the well-being of the brain during aging. Recent studies have shown that Resveratrol, the compound that is commonly found in red wine, is proving to be an effective way of killing cancer cells. According to Dr. Michael Nicholl, the assistant professor of surgery for the University of Missouri, new ways to use Resveratrol for radiation treatments which prove to be more effective in eliminating cancer cells are being discovered. According to the studies conducted by the university that was recently published in the Journal of Surgical Research, radiation treatments that were combined with high doses of Resveratrol offered an extremely potent synergistic effect. Dr. Nicholl stated that even though more research is needed in order to determine the exact benefits of Resveratrol in terms of cancer cell treatments are yet to be determined, it is believed that Resveratrol cripples the cancer cell’s ability to recover itself after being subjected to radiation. He also stated that further studies are also required to figure out ways of delivering Resveratrol into the cancerous tissues. Dr. Nicholl states that the introduction of Resveratrol into the radiation treatments is believed to take away the normal recovery for cancerous cells. This means that it becomes much easier for radiation to be able to successfully eliminate the cancer cells. However, this study does not in any way encourage people to consume more red wine or take in Resveratrol supplements. The biggest reason is that when Resveratrol is orally consumed, it is not extremely effective. Furthermore, oral consumptions of Resveratrol are also known to have side effects such as bloating, diarrhea and intestinal distress. A group of researchers from Korea have suggested that Resveratrol, a compound abundantly found in red wine, can actually help in fighting Mesothelioma when it is combined with a particular drug that is normally used for leukemia treatments. Researchers at the Soonchunhyang University, Cheonan, Korea have found out that Resveratrol can make the cancer cells extremely sensitive to the tumor fighting the effects of chemotherapy, thereby allowing one to fight Mesothelioma. This study that was conducted in the year 2013 and published in BMB reports combined Resveratrol with clofarabine. Clofarabine is an antimetabolite that is normally used for treatments of relapsed acute lymphoblastic leukemia amongst children. The researchers state that when the healthy cells and the mesothelioma cells were exposed to the Resveratrol and Clofarabine mixture, a cytotoxicity was found on the malignant mesothelioma MSTO-211H cells, but no changes were noted in the corresponding normal cells. In fact, separating these malignant and non-malignant cells are considered to be the greatest challenge in cancer treatment. Therefore, a treatment that can actually target the cancerous cells without causing any sort of damage to the normal cells could prove to offer revolutionary results in terms of treating cancer and Mesothelioma. In order to understand how this potent combination interacted with the mesothelioma cells, the researchers conducted numerous tests on the protein levels of some of the treated cells. It was derived that the combination increased programmed cell death in mesothelioma cells by activating cascades of caspases. However, Mesothelioma patients are not encouraged to increase their red wine consumption as Resveratrol is not known to be very effective when consumed orally. Further studies are still required to make Resveratrol a proper part of Mesothelioma treatments, but the results certainly seem to be quite promising. As you know, Resveratrol – a compound that is found in red wine and grapes – is extremely beneficial for your body. 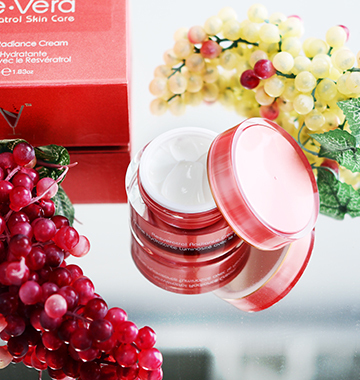 The benefits offered by Resveratrol in terms of skin care and skin issues have already been well documented. However, researchers have tried to delve greater into the effects and benefits of Resveratrol as most believe that the compound still has a lot to offer. Certain studies were conducted to study the electrochemical behavior of Resveratrol. The Britton-Robinson (B-R) study was the one to offer the most detailed explanations on the electrochemical behaviors of Resveratrol. According to the study, research was focused on a buffer solution at GCE (Glassy Carbon Electrode) with the help of CV (Cyclic Voltammetry). Resveratrol showcased an irreversible anodic peak at 0.57 V involving a single proton and a single electron. Furthermore, the effects of Resveratrol’s interaction with double stranded fish sperm DNA was also studied as a part of the tests. This was done using UV-vis spectra and LSV (Linear Sweep Voltammetry). The results proved that the peak potentials shifted to better values and that the peak currents decreased. It also showcased that the maximum absorption managed to decrease with red shifts, in the UV-vis spectra experiment along with the addition of DNA. This allowed researchers to indicate that Resveratrol manages to interact with DNA by inserting itself into the DNA structure. These studies seem to be extremely promising when it comes to developing anticancer treatments. There still might be a long way to go, but the direction in which research related to Resveratrol has been heading is extremely pleasing. According to a study conducted by The Scripps Research Institute, scientists have identified one of the main molecular paths used by Resveratrol to work its wonders on the human body. According to the study, Resveratrol maintains the inflammatory response of the body as a binding partner without estrogenic cell proliferation stimulation. This study was published in the eLife Journal. Kendall Nettles, an associate professor at TSRI mentioned that now that it is clear that Resveratrol can be made to work efficiently through the estrogen receptor, there should be better uses and more effective solutions for the compound. Nettles also mentioned that there could be other compounds that could be highly beneficial to the human body as well. According to another study conducted by Nwachukwu, it was proved that Resveratrol is also known to be a highly effective interleukin 6 inhibitor. Interleukin 6 is an inflammatory protein that is part of the immune system. The study showed that Resveratrol can manage to regulate this protein without causing cell proliferation stimulation by altering numerous co-regulators of the estrogen receptor. 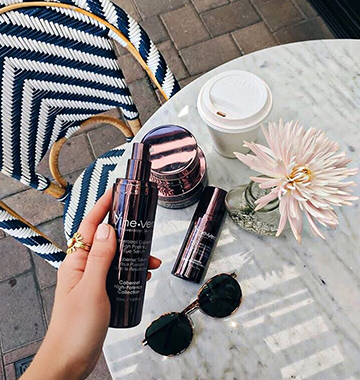 This new study makes the future even more exciting for cosmetics and skin care industries and you can expect many more products and uses of Resveratrol to come up in the near future. Adult onset neuronal lipofuscinosis (ANCL) is a disease that affects 1 out of every 100000 people in their mid 30s and 40s in Europe and North America. Even though there is no known cure for this disease which is caused when the DNAJC5 gene is mutilated, recent studies have shown that Resveratrol could prove to be an effective cure in fighting against ANCL. According to a study conducted by a group of scientists from the University of Liverpool’s Institute of Translational Medicine, medical researchers have finally managed to successfully replicate and treat ANCL in nematode worms using Resveratrol. It is said that the worms have a gene known as dnj-14, which is basically the human version of the DNAJC5 gene. Reports state that the application of Resveratrol has opened up the possibility of effective treatment through the SIR-2.1 enzyme. Professor Alan Morgan states that the tests conducted using the first batch of compounds have been quite encouraging. He believes studying how the diseases work in simple organism’s can open up a range of possibilities in terms of developing an effective cure for humans. The team now plans to test numerous other compounds using this model and explore how these nematode worms can be used to study more and more neurodegenerative diseases. With Resveratrol unveiling one benefit after another for months, we are not surprised to hear that it is central to the cure of ANCL as well. After all, Resveratrol has been touted as one of the most important compounds for the human body.